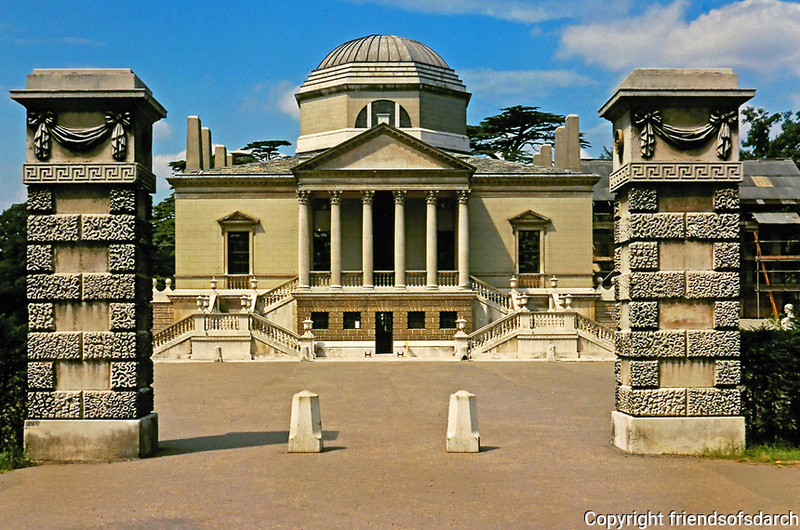 Chiswick House, facade. Middlesex, England, 1725. Designed by Lord Burlington in Neo-Palladian style.